Don’t think for a second that Driveclub is dead and buried. 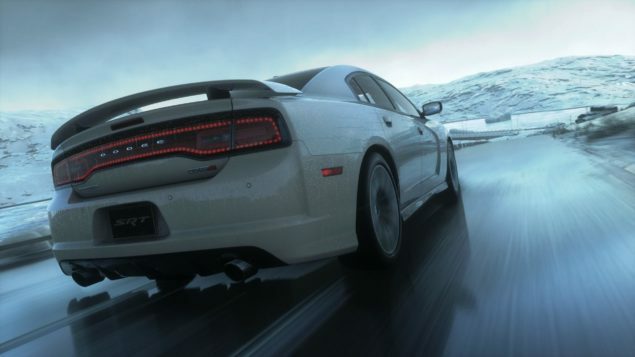 The driving sim might have been poorly received when it was first released, but rapidly dropping prices have created an army of new fans, many of whom will be excited by this latest news. It seems the franchise will continue – in virtual reality. The Entertainment Software Rating Board has been busy taking a gander at a brand new title called Driveclub VR. Although there’s not a whole load of information available, the title says everything you need to know. Naturally, this isn’t exactly official confirmation, but it’s a step up from shady insider sources and stand-in pages on some vague, European games store. Although there’s a description of the title, it specifically doesn’t mention the inclusion of VR. This is a racing simulation game in which players drive a variety of cars around real world locations. Players can engage in traditional races, time trials, and drifting challenges. While the existence of a new Driveclub for Sony’s own VR system isn’t really a surprise, it does raise one rather large question. Who on Earth is developing it? Granted, it’s probably just a “port” – if that word is at all accurate for making a game compatible with a headset – but the people behind the game have definitely moved on. Evolution Studios was shut down last month and, just to nail the coffin down tightly, the staff were picked up by Codemasters. Expect answers, and more information, in the coming months. Driveclub VR Review – How Fast Do You Wanna Go?